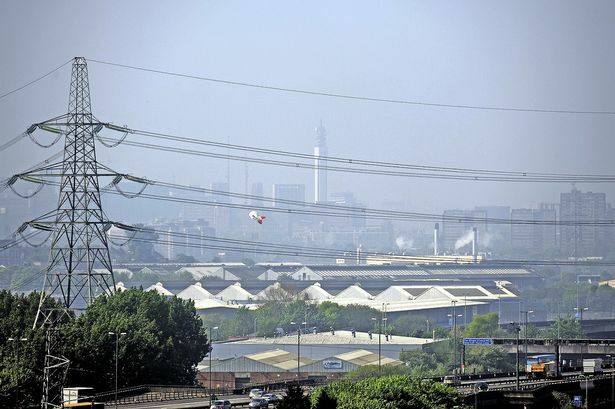 Green campaigners have called for urgent action to tackle air pollution as it emerged that some parts of Birmingham are engulfed by high levels of ‘lethal’ particles. Data gathered from testing sites shows that the worst reading recorded at Birmingham’s Tyburn Road was 111 micrograms of nitrogen dioxide in each cubic metre of air on March 13 this year. European Union rules say that, over the course of a year, there should be an average of no more than 40 micrograms per cubic metre. The recording station in Tyburn Road has an average of 46 so far this year. The results were revealed at the Commons Environmental Audit Committee which named the West Midlands as one of a number of areas which is failing to meet EU targets for levels of nitrogen dioxide (NO2) in the atmosphere. In the wake of the figures, MPs warned that schools, hospitals and care homes should be built away from major roads to prevent hundreds of deaths every year. And schools which are already near traffic hotspots should be fitted with air filtration systems, to ensure children are breathing clean air. Earlier this year the Department for the Environment revealed it expects air pollution in the region to exceed official limits set by the European Union until 2025. And separate figures from Public Health England show that air pollution is estimated to cause 1,500 excess deaths a year in the West Midlands. This includes 520 deaths in Birmingham, 168 in Coventry, 173 in Dudley, 198 in Sandwell, 107 in Solihull, 155 in Walsall and 139 in Wolverhampton. The culprit is nitrogen dioxide, a gas released when fuels are burned, including petrol or diesel in a car engine. The European Union’s Air Quality Directive states that on average, over the course of a year, there should be no more than 40 micrograms – a millionth of a gram – of nitrogen dioxide per cubic metre of air. The committee urged the Government to issue new planning guidance to ensure local authorities prioritise air quality in planning decisions. It also called on councils to ensure that new schools and workplaces have adequate public transport links and can be reached easily by bicycle or on foot, to reduce car journeys. The Government should also help by launching a national public awareness campaign to raise understanding of air quality, MPs said. West Midlands Friends of the Earth Campaigner Chris Crean said:“This damning report reinforces the ‘public health imperative’ to tackle filthy air which kills tens of thousands of people prematurely in the UK every year – and the measures recommended to help protect the most vulnerable. Children and elderly and those with some medical conditions are hit hardest by our illegal levels of air pollution. “To help save lives, government departments must now all get behind this issue and – as the report recommends – ensure that EU limits set to protect health are met much sooner than sometime after 2030 as the Government currently plans.